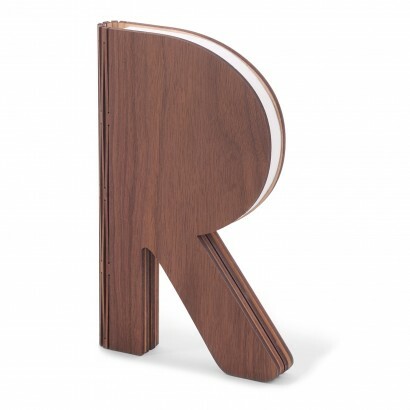 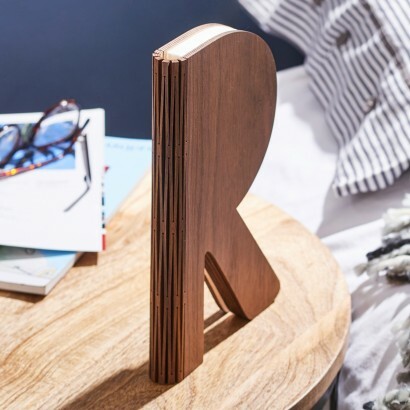 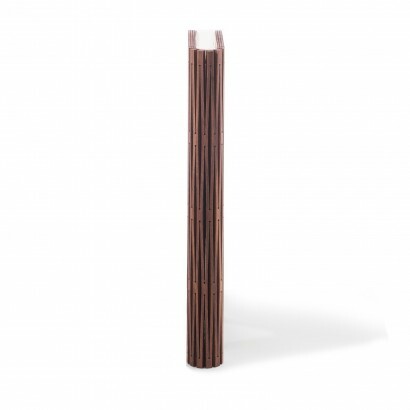 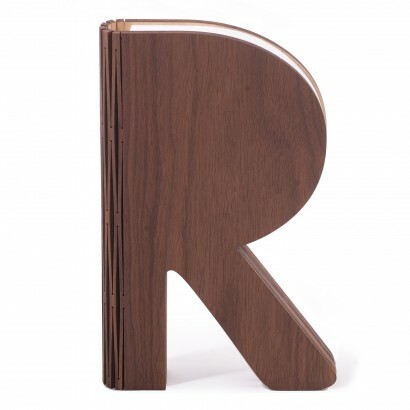 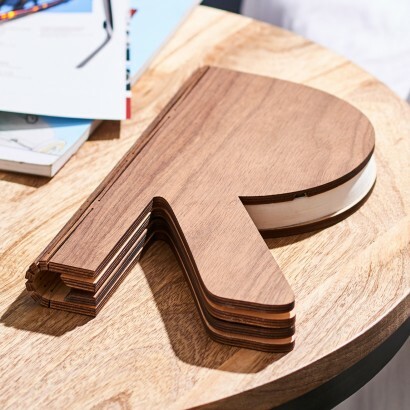 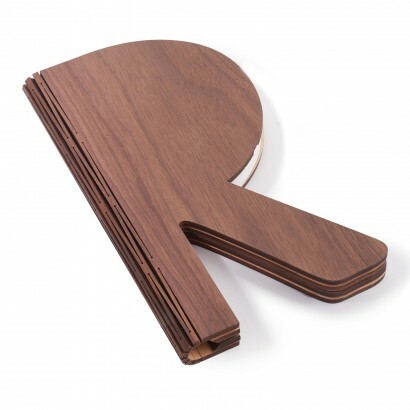 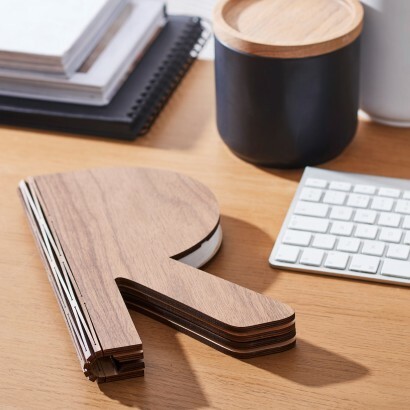 A fascinating table lamp that appears as a walnut letter R decoration when closed, open up the letter and an elegant table lamp is revealed with a beautiful tear proof lantern made from tyvek papers. 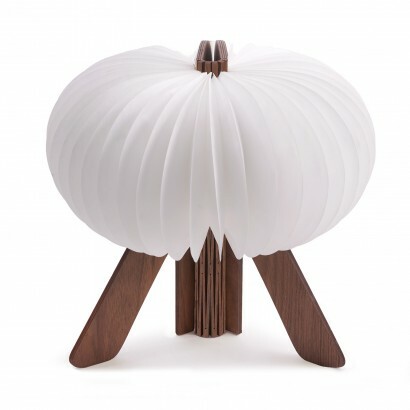 With bright white and warm white light settings, this unique table lamp can even be dimmed with the remote control included allowing you to set just the right light and tone for your occasion and mood and when not in use, this space saving table lamp can be folded away. 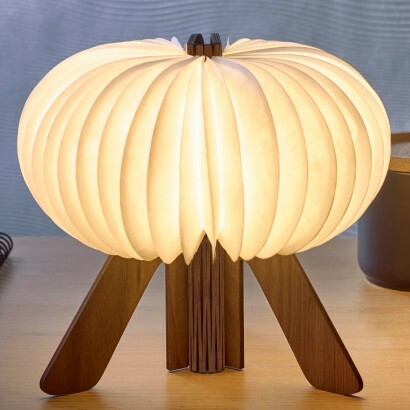 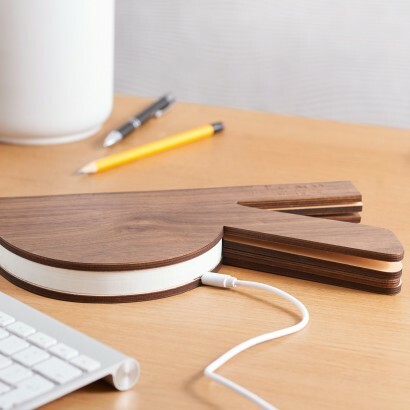 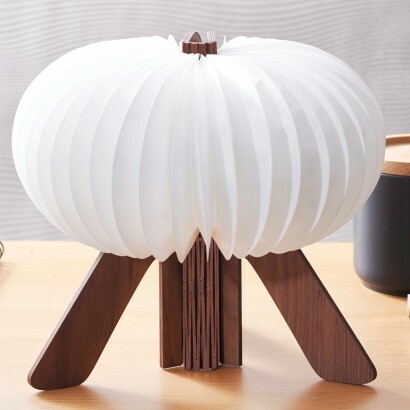 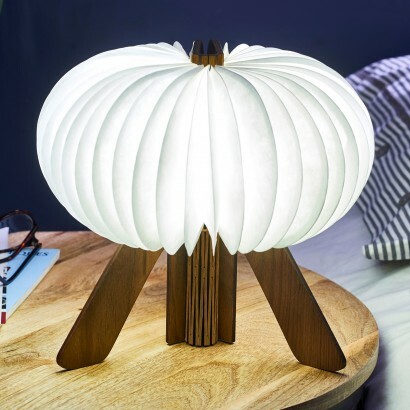 Rechargeable with up to 72 hours use from a single charge, this stylish Gingko lamp is not only functional, but a work of art!